Warner Bros. recently announced a whole slew of new movies that they will be creating between now and 2020. Those are just some of the cool superhero movies that we will be getting in the next few years. 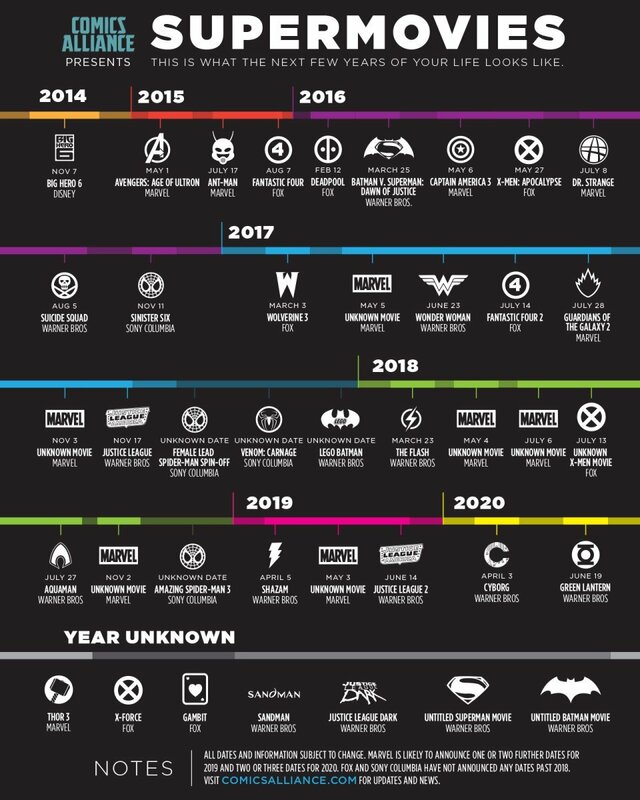 This handy infographic from Comics Alliance shows what we can expect between 2014 and 2020 from the DC Comics and MARVEL franchises among others. If you like your comic books come to life, this infographic should get you excited. This should help you plan what movies you are going to see in the foreseeable future. We have a lot to look forward too. And this is just the stuff we know about, there’s probably others in the works. It is a great time to be a superhero fan.